According to GoodReads I am right on track for my goal of 50 books this year. That makes me a little nervous since up until now I was ahead by a book or two. Hmm… We’ll have to see how the year progresses. The Kopp sisters were seemingly good at keeping their noses clean but then their buggy is struck by an automobile driven by the ruthless silk factory owner, Henry Kaufman. How much will Constance sacrifice to bring the rapscallion to justice? I loved Constance. She trusted her gut and her shooting hand and her instinct. She was brave with apprehension, smart with self-doubt. Her humor and fierce loyalty to her sisters made me giggle and tear up. I freaking loved that she wasn’t afraid to push back. For some reason I had reservations about this book. I had some weird expectation and it didn’t align with the story told. I don’t know why… but that’s why it got 4 stars from me. Under different mental circumstance it might’ve been a five. Should you read it? Absolutely! Especially if you like strong females, mysteries, and/or historical fiction. On the island of Fennbirn triplet queens are born, separated, and raised by foster families in accordance with their strengths. Then, on their 16th birthday, they are called to kill one another in pursuit of the crown. I loved this story. Be warned- it starts off very slowly. All the action takes place in the final+30% of the book. The author weaves in world building with character development- and there are a lot of characters. I liked how each sister had totally different personalities and unique story lines with different issues going on… but a similar goal of surviving. I thought I’d love one sister more than another, but I felt myself hoping for the best for all three. Dang… this was just a twisty, fully developed first book. I am dying to get my hands on the next one in the series. Lastly, when are my naturalist powers going to kick in? Obviously my familiar would be a fox. Lol. Should you read it? If you enjoy fantasy mixed with friendship & romance & action, YES. Up to 95 out of 200 points. Right now I’m (still) working on Dead Wake and I’ve started The Hangman’s Daughter. All the books left on my challenge list are +450 pages. Nice going, Audrey. 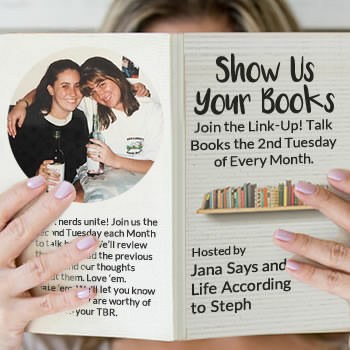 What did you read this month? What are you reading right now?? Rapscallion is such a fantastic word! I’m currently 2 books ahead of schedule for my goal of 20! I was going to set a goal of 30 but thought I’d play it safe with just 20. Haha, one day I’ll be able to read 50 in a year! I really want to read Three Dark Crowns but I feel like I need to wait till the third book is out and just read them all at once. I usually spread my series out over months and other books so I’m not too bothered by the lack of completion with this series. I know that’s a total no-no for some people, though! Girl Waits With Gun has been on my list for like, 3 years haha. three dark crowns is on my list, but i will wait for it to be finished because my memory is awful and if i can avoid waiting, i do. i like to make my goodreads challenge really low and then up it as i get closer to it haha. that way i am never disappointed in myself over something silly like that. I figured the whole series was out for 3DC when I read it because I feel like it’s been on my TBR list forever. Oops. Oh well, I tend to spread my series out over months and other books anyway. I don’t know why I didn’t love Girl Waits with Gun. I wanted to love it. I loved parts of it. I think I was underwhelmed by the events/characters, while out of the box for what was acceptable for women in her day, felt a little slow and undramatic overall. If that makes sense? Girl waits with gun has me reading your review in like a flapper girl tone of voice – I’ve watched too many movies from that time period. Hahaha- I’m kinda of proud you read it like that, though! Ha! I’m in a serious book lull but I’m in the middle of two and I’m excited to read another one so hopefully I pull myself out! Girl Waits With a Gun and The Hangman’s Daughter are both on my TBR but due to length, I’ve pushed them aside to finish Erin’s Challenge first. I set my Goodreads goal low this year because I only read 24 last year and didn’t want to have book guilt if I didn’t reach it. I know I shouldn’t feel guilty if I don’t reach it, but I can’t help it! So loooooong, right?? Girl Waits With Gun reads pretty quickly. I’m working on The Hangman’s Daughter right now. Yes to 3 Dark Crowns! It was such a good book and I can’t believe it took me this long to get my hands on it! It was hard to know who to root for in the book too because I really liked all the queens. And haha to all of your books being longer that you have left for Erin’s challenge! I made myself read my longest first because I didn’t know if I’d make it through it if I left it until the end! Plus I had to get it from the library. Me too! When I first heard about it I was so excited because it checks all my boxes! Why did I wait?? I loved all the queens, too. I would want to be a naturalist but I think all the sisters are great. I’m curious to see how it all plays out!! I should’ve read Dead Wake first. The others aren’t so daunting, but yeah…. What a dumb situation I put myself in. Lol! I really loved Girl Waits with Gun because Constance is awesome. I love her fierceness and how she didn’t back down, even when afraid. The subsequent books are also good, although Girl Waits with Gun is my favorite of the series thus far. 3 Dark Crowns is on my TBR. Good to know that it slow-paced, which I don’t mind if the story is good. I LOVED that Constance didn’t back down. She almost got MORE angry and brave as her fear grew. 3DC is pretty slow paced for the first 60% but it was necessary. I really loved the slow build. I liked GWWG but never read the next one. Yep. I think I’m in that boat, too. I love that you loved Girl Waits with Gun!!! That made my day! 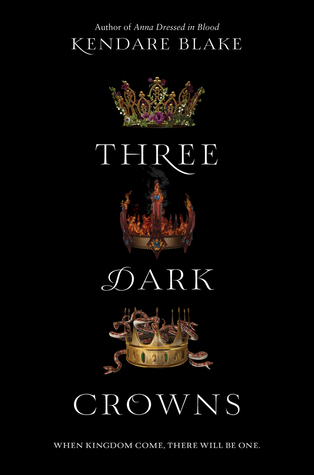 Three Dark Crowns sounds super interesting which is surprising for me personally since it is not my usual genre to read! 🙂 Adding it to my list! I was a big fan. I can’t wait to dive into the second book soon!! I need to read both of these books! You can totally get 50 books this year! I’ll be honest, though, and admit that I get a little nervous when I’m just “on track” (which is where I’m at right now) or, even worse, “behind schedule.” It’s obviously just some arbitrary number I picked at the beginning of the year, but I always really want to hit that goal! I hope you’re able to finish Erin’s challenge! I tried to pick a mix of slightly longer/slightly shorter books, though I think most of them fell around 300-350 pages. I still have one to go, though, and I think it’s over 400. Totally an arbitrary number, lol 🙂 I need to just pick up books and make myself get lost in them. I keep using the “I’m so drained at the end of the day” excuse. Bleh. Thank you!! My goal is to finish her challenge! I’m excited to read Renegades! I need to get my hands on The House of New Beginnings because my library doesn’t have it. Boooo. I need to read Girl Waits With Gun! It sounds super good. I think it’d be an entertaining movie, too 😀 Haha! I’ve never even heard of those books!! Also did I know your goal was 50 books a year? For a slow/non-reader like me, that is an INSANELY impressive goal!!! I have very low confidence as far as reaching that goal goes…… ha!! One is a solid 1910s mystery and one is very much fantasy. If either of those genres strike your fancy you should read ’em!! Yayyy! Always on the search for good books! I’ve heard so many great things about Girl Waits With Gun. It’s not my typical type of book, but I may just have to give it a shot. Dead Wake is sooooo looooong. It really picks up in the last third though. I’m enjoy Dead Wake, it just takes me a while to get through nonfiction. Lol. I’m glad to hear that the end picks up, though!! 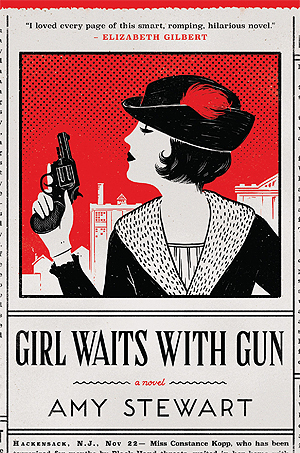 Girl Waits With Gun is just a fun little 1910s mystery (with a badass female lead). Bookmarking 3 Dark Crowns! Usually in posts like these I’m really looking for what people rate highest! Great job on being on track for your goal! I feel like I should have set one….